US Latin Americanist Cold Warriors and their far-right allies in the region kicked off a propaganda campaign in May to influence Congress and US citizens against Venezuela and fellow ALBA (Bolivarian Alliance for the Peoples of Our Americas) countries. With declining attention being paid to the wars in Afghanistan and Iraq, neoconservatives and neoliberals want to turn our attention to rolling back social and economic advances in Latin America. Reich knows a lot about subversion. As head of the Office of Public Diplomacy in the Reagan White House, Reich used military PSYOPS techniques to mold congressional and public opinion in favor of ReaganÂs illegal Contra War to overthrow the Sandinista government in Nicaragua. 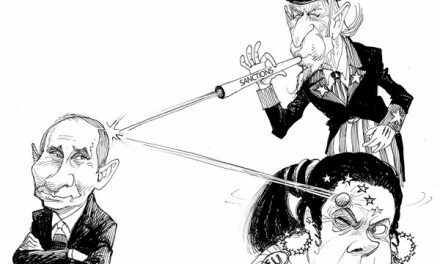 ReichÂs history calls into question his own democratic credentials, an issue which gained currency with his very public support for the June 28, 2009, military coup against democratically-elected President Manuel Zelaya in Honduras. Democracy in Latin America.Â The briefing, moderated by Reich, featured Ileana Ros- Lehtinen, chair of the House Foreign Affairs Committee, fellow Florida Congressman Connie Mack, chair of the Sub-Committee on the Western Hemisphere, and its ranking member Eliot Engel (D-NY) plus two panels of US and Latin American opponents of the democratic political and economic changes increasingly prevailing in Latin American elections. By chance or design, on May 24, the State Department declared sanctions against VenezuelaÂs state-owned oil company for refusing to recognize US sanctions against Iran. Rep. Mack took credit for the sanctions. The congressional briefing was sponsored by Americas Forum which says it advocates for a Ârobust U.S. engagement within the Hemisphere.Â An article on the organizationÂs web page headlined ÂVenezuelans could be forced to donate organs under 21st Century SocialismÂ reminds me of articles from my childhood with titles like ÂCommunists Will Take Away Your ChildrenÂ. Hard right former Spanish Prime Minister Jose Maria AznarÂs Fundacion Para el Analysis y los Estudios Sociales also co-sponsored, as did the Inter-American Institute for Democracy. Aznar’s government posthumously granted a medal of Civil Merit to MelitÃ³n Manzanas, the head of the secret police in San SebastiÃ¡n under the Fascist government of Francisco Franco (1936-1975). The Inter-American Institute for Democracy web site includes a report on a lecture they sponsored entitled, ÂBOLIVIA: The Path to a Plebiscitary DictatorshipÂ. The Heritage Foundation and Hudson Institute, right-wing Washington think tank powerhouses also co-sponsored along with the Venezuelan opposition group Liberenlos Ya!, something called Secure Free Society which does not appear to have a web page, and finally the Center for Security Policy, which according to Wikipedia advocates a policy of "Peace through Strength," which "is not a slogan for military might but a belief that America’s national power must be preserved and properly used for it holds a unique global role in maintaining peace and stability." None of the co-sponsoring organizations have what one would call stellar democracy credentials. All do hold in common authoritarian philosophies, the rule of elites under the hegemony of US leadership and of course, that democracy is inseparable from free market capitalism. The speakers, led off by Chairwoman Ros-Lehtinen, laid out a litany of complaints, half-truths and comments in the tradition of Arizona Senator John KylÂs, Ânot intended to be a factual statemetÂ. The speakers proclaimed elected presidents Hugo Chavez, Evo Morales, Rafael Correa, and Daniel Ortega as dictators. They reserved their strongest language for Chavez and worked hard to brand the word ALBA with a connotation approaching that of Al-Qaeda. The attacks on ALBA would be laughable if it werenÂt for the fact that those making the charges hold positions capable of setting public policy and molding public opinion. ALBA is a cooperative trade agreement entered into by Venezuela, Cuba, Nicaragua, Bolivia, Ecuador and several small Caribbean island nations. Under ALBA, Venezuela trades oil to Cuba in exchange for Cuban doctors. It trades oil to Nicaragua in exchange for beef and black beans (which Nicaraguans wonÂt eat). Nicaragua trades beef and other food products to Cuba in exchange for doctors and literacy trainers. Cooperative trade is anathema to the neoliberal ÂfreeÂ trade ideology because it doesnÂt force nations to compete and most importantly does not force down wages. She went on to say about Venezuela that sanctions are Âjust the first step and more must be done.Â She went on to say that Otto Reich Âwill be very involved in these effortsÂ and will take a more Âactive roleÂ on trade, democracy and security.Â Since he is now a paid lobbyist, one wonders just what role Ros-Lehtinen sees for Reich? Most of the other panel speakers said the predictable things, usually without any evidence to back their claims. Notable though for one upping Reich was Joel Hirst, a Fellow on the Council of Foreign Relations. Hirst was Acting Head of the Office of Transition Initiatives in the US embassy in Venezuela from 2004-2008. 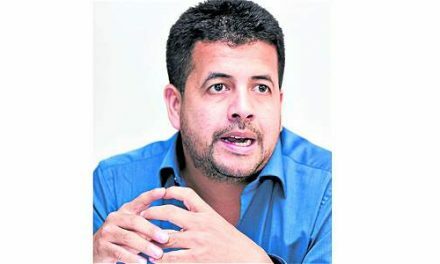 In that position he had the responsibility for allocating funds to the Venezuelan opposition. In 2006, when I led a delegation to Venezuela to investigate US interference in that yearÂs presidential elections, we were refused a meeting with Hirst. He accused the ALBA countries of supporting the doctrine of Âasymmetric warfareÂ which he described as guerrilla warfare, terrorism, arming children, contempt for the Rules of War and International Humanitarian Law, and ÂimperialÂ control. He predictably threw the FARC, Hezbollah, and Iran into the mix. Carlos Ponce, the Reagan-Fascell Fellow at the mis-named National Endowment for Democracy laid out the right-wing case that the presidents of Venezuela, Ecuador, Nicaragua and Bolivia, though democratically elected, then proceed to break down democratic institutions in their countries. 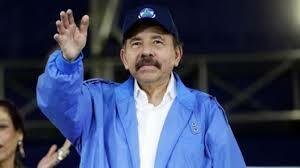 He used as an example Daniel OrtegaÂs winning of a ruling by the Nicaraguan Supreme Court that the constitutional provision against running for a consecutive term was void. However, the strategy Ortega used to permit him to run again is precisely the same as that used by Nobel Peace Prize winner Oscar Arias in Costa Rica which allowed him to serve run and win a second term.Â No one on the right uttered a breath of criticism when Colombian President Alvaro Uribe amended the constitution to run a second time. Uribe tried, and failed, to amend it again so he could run for a third term. In the ALBA countries, Hirst said, Âno one else can be elected because the current elected leaders have changed the laws.Â This is an absurd statement. In these countries no one else has yet to be elected because the poverty reduction programs and economic and political democracy theyÂve implemented have made the current leaders the most popular candidates in their countries. Venezuela has the most fraud-proof election mechanisms in the world Â much more so than the US. ItÂs electronic voting complete with paper trail, thumb print verification and large sample recount system leaves little room for manipulation. There is no legitimate way that anyone can claim election fraud in Venezuela. That is the trajectory of the ÂBig LieÂ propaganda campaign. It is up to people who care about true democracy and economic justice to counter the propaganda using all the communications means at our disposal. Chuck Kaufman is a national coordinator of the Alliance for Global Justice.